The ERA-EDTA Flash official newsletter of the Association has now changed its name and logo and will be circulated bi-weekly under the name of Nephrology News Flash. The newsletter will continue to serve the nephrological community by publishing ERA-EDTA‘s initiatives, reporting on ongoing activities and sharing new hot papers from ERA-EDTA Journals. Follow Us was the official printed newsletter of ERA-EDTA for 14 years (39 printed volumes). Its purpose was to provide important news about the ERA-EDTA Council, National Societies and developments in European nephrology. ERA-EDTA Follow Us Flash newsletter (later known as ERA-EDTA Flash and from now on Nephrology News Flash), designed to be its digital supplement, became a more significant and up to date source of information for members and supporters. In 2018, the Council decided to integrate these two media. From now on you will therefore receive essential information about the ERA-EDTA Council and the collaboration with the National Societies in the ERA-EDTA Council column in the Nephrology News Flash. NEW! All current ERA-EDTA members will receive a 35% discount on the Oxford Textbook of Clinical Nephrology! Insert the promotional code that appears on the right hand side of the Oxford University Press website and click on “I have a promotion code for this product”. Please contact the ERA-EDTA membership office to get your promotional code! Please go to the online survey via the ERA-EDTA Registry website. 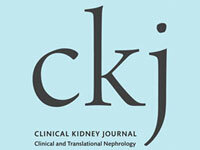 A new CKJ article summarised the ERA-EDTA Registry’s 2016 Annual Report, by describing the epidemiology of renal replacement therapy (RRT) for end-stage renal disease (ESRD) in 36 countries. Do not miss EKHA newsletter! The ERA-EDTA is happy to share the link to the European Health Kidney Alliance (EHKA) monthly newsletters which publish short updates and important event in the field of Nephrology. Many nephrologists perform research in addition to their clinical duties. The aim of the Introductory Course on Epidemiology, to be held in Innsbruck (Austria) on May 17-18, 2019, is to teach nephrologists and nephrology researchers basic epidemiology principles and to then practise their new skills in hands-on sessions (exercises, discussions and SPSS). 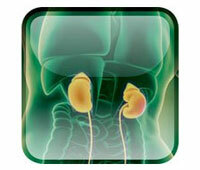 The knowledge and skills obtained will assist participants to improve the quality of their nephrology research. Click here for travel grant opportunities.